Notorious RBG To Make Opera Debut - Joe.My.God. Here comes the judge — in an opera. Supreme Court Justice Ruth Bader Ginsburg slips out of her robe into something befitting royalty for her one-night-only performance in the Washington National Opera’s production of Donizetti’s “The Daughter of the Regiment” on Nov. 12. The role in this 1840s opera comes as Ginsburg has been riding a wave of rock-star celebrity with millennials. Chalk it up to her fearless feuding with Donald Trump, a spunky biography called “Notorious RBG,” plus coloring books and blogs all about her. At 83, she’s more magnetic than ever. 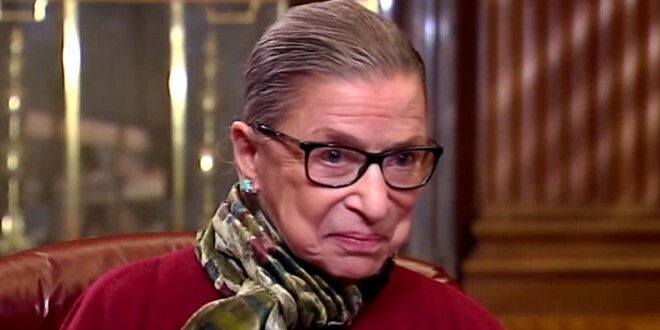 Ginsburg is a well-known opera buff, who’s previously been on stage as a background-filling supernumerary. “Daughter of the Regiment” marks her debut in a speaking role. NOTE: There’s video on this news at the link, but I had to remove it because it auto-plays. Argh.